Instagram vs. SnapChat Marketing: Which one is Effective for Startup Business? - GoodGuysBlog.com - New, Technology, Marketing, Health and So on. Home / digital-marketing / Instagram vs. SnapChat Marketing: Which one is Effective for Startup Business? 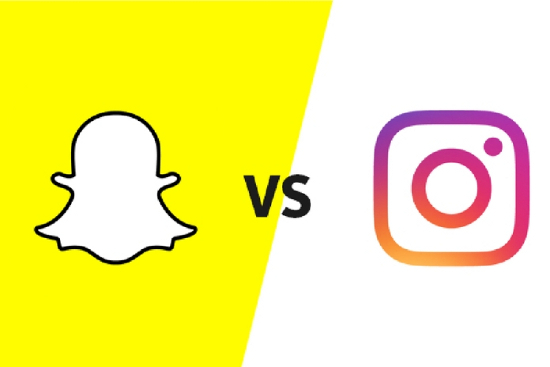 Instagram vs. SnapChat Marketing: Which one is Effective for Startup Business? The modern world is all about digitalization. There is hardly any field of work where there is no presence of digital medium and software. Whether it is education, health or the corporate sector, digital products and strategies have been ruling a major chunk of the arenas. Similarly, the marketing sector has also moved on to the digital marketing from traditional system. People and businesses are now investing more money on digital marketing campaigns and strategies and almost none on traditional marketing. Digital marketing includes a huge variety of sub branches that include search engine optimization, search engine marketing, pay per click, content marking, influencer marketing, email marketing, and the most common one that is the social media marketing. Social media marketing is easily the most common branch of digital marketing very convenient for startup businesses. Furthermore, social media marketing also has its own set of branches or different mediums like Facebook, twitter, Instagram and SnapChat etc. Facebook was considered to be the most common medium for marketing and now people are trying to find out who is the winner among Instagram and SnapChat. Following is a detailed review on the qualities of both the platforms. The user base of both the platforms is quite different from each other. Instagram has a much greater use base of up to 400M people while SnapChat only has 173M daily active users. Additionally, the age group of Instagram users is below 49 years and most of them are women. On the other hand, SnapChat’s 60% of the users are below 25 years in age and only 15% of the total is above 35 years. It makes it quite simple to identify which platform is better for marketing considering the user attraction. Instagram easily has a more suitable user base for marketing purpose. The types of content have a major influence on marketing strategies. SnapChat only allows stories and snaps, whereas Instagram allows posts, videos and stories which make the options vast for brands to advertise their products or service in different ways. According to content writing service in UAE, in marketing, quality of content matters a lot. SnapChat does not have high resolution options whereas Instagram smoothly supports higher resolution and filtered images and videos making it easier for the marketers to display products and services in much more attractive manner as compared to that on SnapChat. SnapChat accounts are private and do not provide much info about the user. They are quite hard to discover and therefore, the audience reach is always low on SnapChat profiles. On the other hand, Instagram accounts are public and have enough space to provide info about the profile. It makes it easier for the brands to describe their brand in the bio and have a clear impact on the users. The posts and stories are easier to be discovered and reached by the audience which is an excellent point for the brands since all they need in the beginning of their businesses is to attract as many people as possible to increase the awareness about their brand. Engagement is an essential point of social media marketing. Without engagement, the marketing strategies and campaigns can absolutely fail since the reach will still be low. SnapChat has very little engagement options and that too remain private messages. There is absolutely no option of public engagement like comments or likes. On the other hand, Instagram allows various options of engagement including commenting, liking, writing and even saving the posts. Even the stories have quite amazing and interesting engagement options in the form of stickers and other story features like question/answers and polls. For marketing purposes, it is important that you are able to get analytics of reach, impressions, and engagement on your social media posts. If we are talking about Instagram and SnapChat only, Instagram has built in Insights feature for every post on a business account. Additionally, there are plenty of free analytics tools as well which can be downloaded and used. On the other hand, SnapChat has absolutely no built-in feature for analytics and the tools that support SnapChat insights are very few in numbers and are paid. In the aspect of paid advertisement, both the platforms support robust ads manager and have a strong and powerful targeting. However, Instagram has two options of ads including stories and feed posts, whereas on SnapChat only snap can be advertised. Additionally, paid advertisement on Instagram is much cheaper with greater impact as compared to SnapChat. SnapChat advertisement is a bit more expensive and not very suitable for startup businesses. Conclusively, Instagram is a far better option for marketing due to its overall look, built-in and additional features, and marketing supportive discoverability and layout. Additionally, for startups, it is quite economical as well.